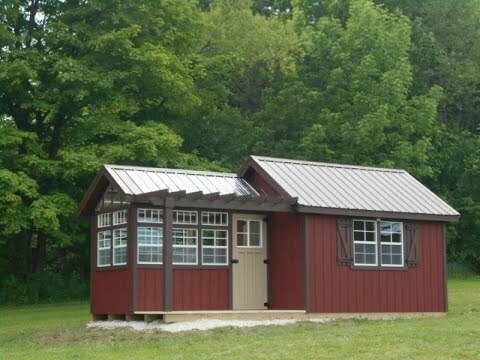 Storage Sheds and Barns for Sale in Akron by Hartville Outdoor Products stores http://hartvilleoutdoorproducts.com/ which are located in Hartville, Ohio 1-330-877-6900 and Medina, Ohio 1-330-239-2200 just a few miles away from Akron Ohio. Storage sheds and barns of the highest Amish quality. Northeast Ohio and Cleveland’s premier custom barn builder. Serving Canton, Medina, Cleveland, Akron, Wadsworth, N. Royalton and more. If you are shopping for the best outdoor furniture in Ohio, you have come to the right place. Our polywood furniture is manufactured from 100% recycled materials and is maintenance free. If you are looking for outdoor patio furniture sets to last you a lifetime, don’t waste your time shopping for wood outdoor furniture that requires constant maintenance; stop by our store for the perfect fit for your backyard. Hartville Outdoor Products always offer you the best built products to ensure a lifetime of use. Customer service, honesty, and your referral is what has built our business to become a family owned and operated company. Thank you for the opportunity to work with each and every one of you.